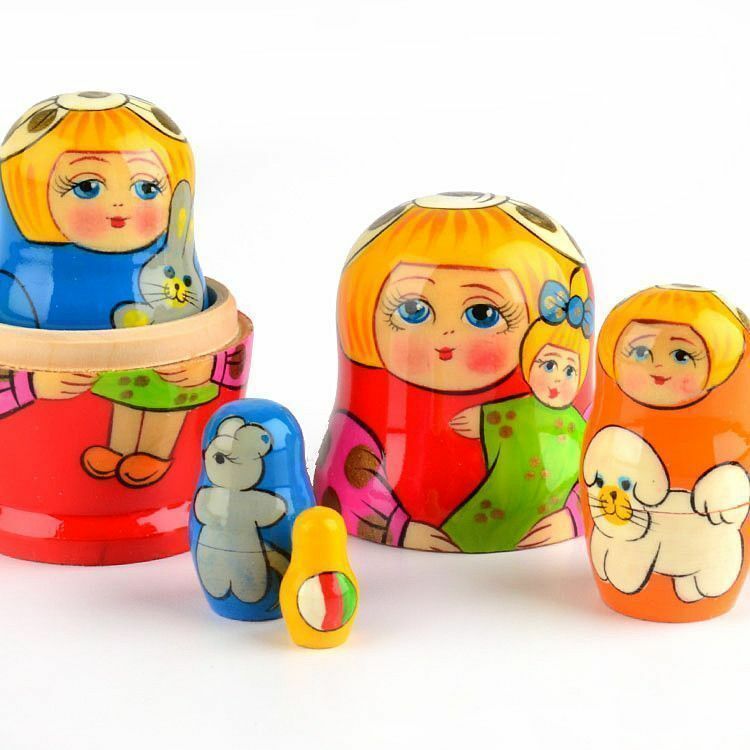 This nested doll from Russia has an artist's simple rendition of a young girl with her look-alike doll. 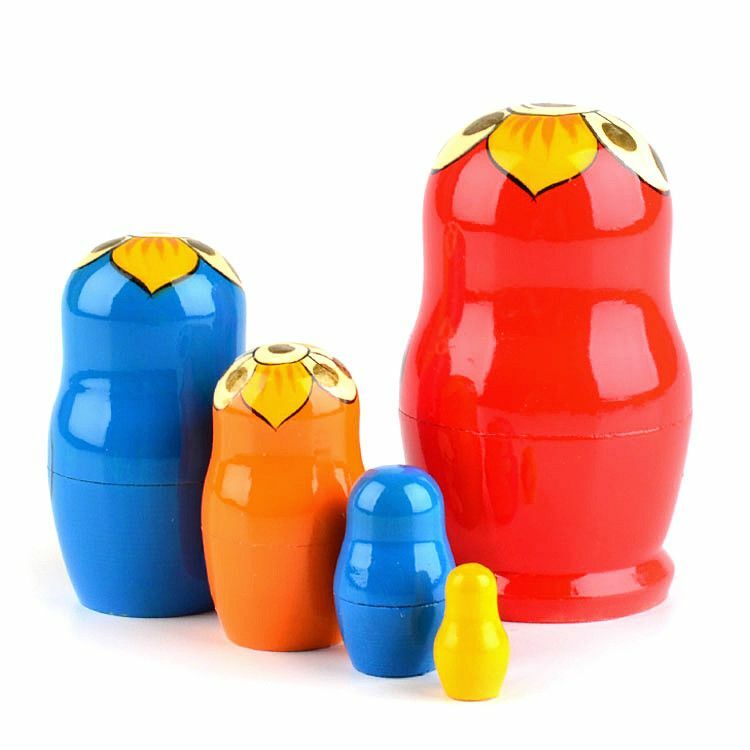 It features basic colors and is about 3 1/2" tall. 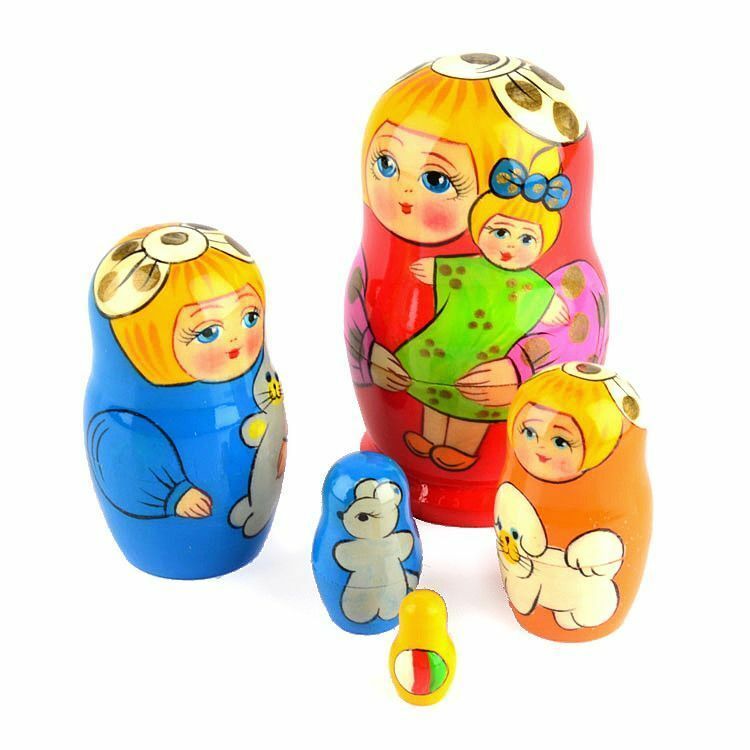 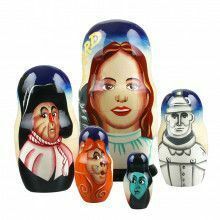 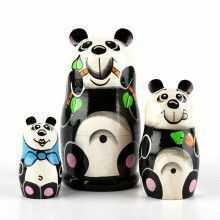 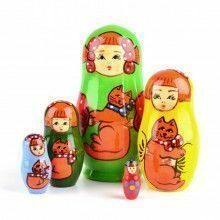 Cheer up any room with this 5 piece, highly glossed nesting doll from Russia.